The Cancer Center of Kansas was chosen to be featured in Oncology Business Management, a publication by OncLive for the Oncology Specialty Group. 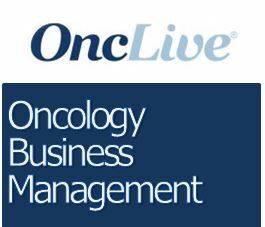 The OncLive mission is to provide oncology professionals with the resources and information they need in order to provide the best patient care. This includes exchange and insights from peers in the oncology world to provide perspectives and opinions on important issues that cancer care professionals are facing today. President of CCK, Dr. Shaker Dakhil, and Chief Legal Officer, Laura Monahan were interviewed for this article, Midwest Oncology Practice Succeeds With Independent Spirit, giving insight into our commitment to patients across the state of Kansas and our constant adjustments due to healthcare regulations. The combination at CCK of 14 board certified physicians, specialized nurses, knowledgeable staff and executive administrators that are highly-experienced in their fields creates the atmosphere we pride ourselves on so greatly. We are proud to be able to dedicate quality care to our patients in Kansas!